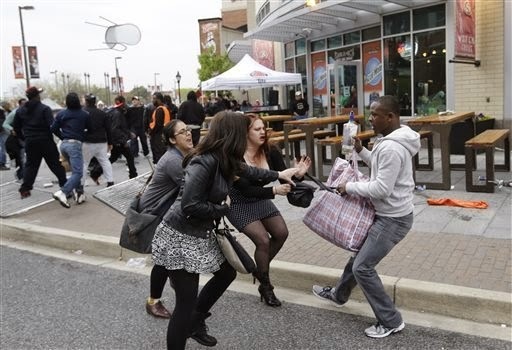 Just like the STAGED Ferguson “LOOTING” photos, they are “FROZEN IN MOTION” staged photos. Who is taking these photos? Why is the same woman in two separate photos of two separate incidents? Someone happened to take a perfect “FROZEN IN MOTION” picture of the same woman in two separate incidents and BOTH PICTURES happen to make a syndicated “news” paper story? So there happened to be TWO CAMERAMEN capturing this SAME chair-throwing event from TWO DIFFERENT ANGLES, and at the EXACT SAME MOMENT!!! Did you notice that in photo #2 & photo #4, the same event at the exact same moment but from two different cameramen, the WINDOW IS ALREADY BROKEN in both photos? 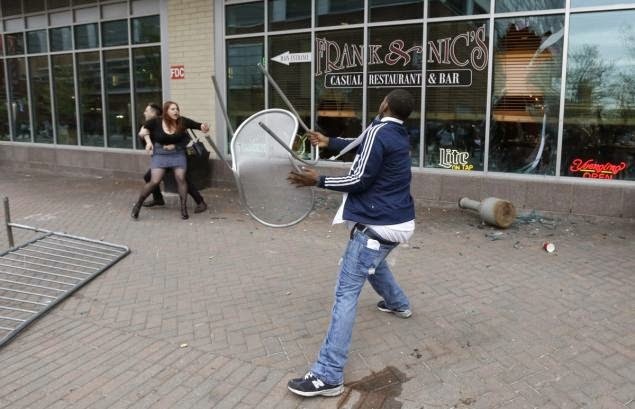 So is this black man THROWING A CHAIR THROUGH AN ALREADY BROKEN WINDOW? 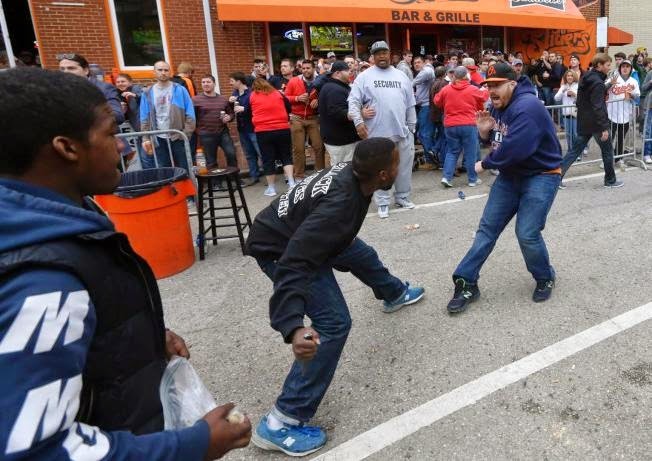 So the exact same thing happened in front of the exact same restaurant and the exact same photo was snapped….only with a different black guy and a different white guy? Really? Or were the patrons just watching a “show” being put on for them? HEY LOOK! THE EXACT SAME THING IS HAPPENING AGAIN! AND THAT SAME GUY IS STANDING BEHIND THEM SNAPPING THE SAME EXACT PICTURE! GIMME ANOTHER BEER! To wrap this up, another thing pointing to these photos being staged is that they were the photos in the “news” paper. If photos were staged to take the focus off the protest and put the focus on “LOOTERS”, they, in fact, would be the photos they would put in any “news” articles. 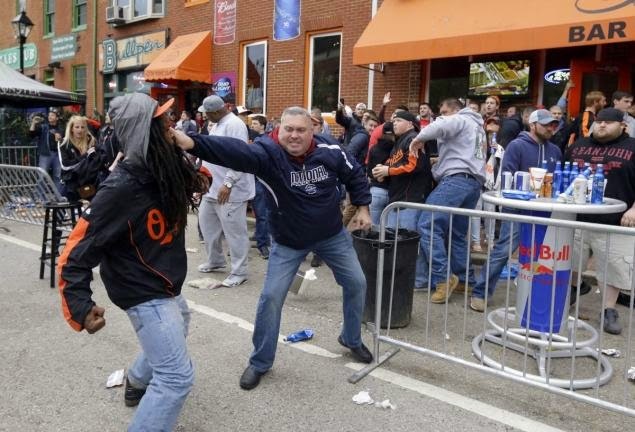 Think about it: why would they put ONLY “LOOTING” photos in the Baltimore protest, and NOT ONE photo of anything other than “LOOTING”?